So you have a muscle that just refuses to grow?! Is it because you have bad genetics or is there a secret you have yet to discover? It could be a secret, but not after today, it’s time to crack the code… You already have the keys; it’s in your head! If you want a sure fire way to rev up the muscle building process, you should be able to squeeze any individual muscle on command without any weight. There is a difference between working your muscle and building your muscle. 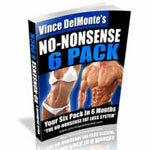 Will you work muscle simply just going through the motions? Sure, but why would you not want to make the most of your time and multiply your efforts in the gym and build some solid muscle? Strengthen your Mind Muscle Connection and reap the rewards of training smarter. Mind Muscle Connection (MMC) is the synergy between the brain and targeted muscle that allows the individual to focus and visualize the muscle squeezing and contracting, leading to better muscle work efficiency and isolation. If you can’t engage the muscle from your head, then you have no business adding resistance. After all, this is where it all begins, in your head! Build your Mind Muscle Connection and your muscles are sure to follow. Everyone has a favorite muscle along with a muscle they feel is weak in comparison. Many people blame this on genetics, but all your muscles started out relatively small. You just had a stronger mind muscle connection in the muscle you now call your favorite. To achieve the desired physique you’ve been desperate for, you may have to bite the bullet now and bring that lagging body part up. After all, your body is only as strong as its weakest link. Let’s briefly talk about the process that occurs when a muscle contracts. First things first, muscles are made up of muscle fibers, which make up the muscle. Very simply put, your brain sends a signal to these muscle fibers, which causes a chemical reaction leading your muscle fibers to contract. This process of activating a muscle is not just the flip of a switch. Not every muscle fiber is activated when the muscle contracts and this is where you are being short changed. The goal of every rep should be to achieve the biggest percentage of activated muscle fibers within that working muscle by consciously focusing on the working muscle and contracting it hard while minimizing any assisting muscle. Do yourself a favor now and drop the weight until you can keep continuous tension on the working muscle throughout the active range of motion. Sometimes doing less is actually more, and this holds truth in this case. Putting this into context, let’s look at the bench press. Do you ever find that your shoulders or triceps are getting smoked when the focus should be on the chest? 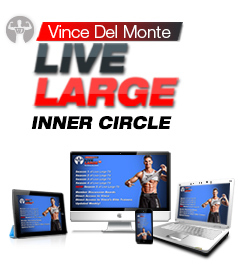 If you are able to get from point A to point B with 185 pounds for 8 reps but have a very weak mind muscle connection, incorporating 60% of the available muscle fibers in your chest. This would result in using your chest to press 111 lbs. What if we drop the weight to 165 lbs and really focus on contracting our chest and recruiting 80% of available muscle fiber in the chest. We now have now pressed 132 lbs using the target muscle! 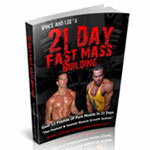 Over a 20 pound increase, can you see where this is going to help to build more muscle? All while saving your joints by placing the tension where you want it, the working muscle. This is the key and it all starts in the mind. In order to maximize the Mind Muscle Connection, let’s dive into some important keys to optimally contract the desired muscle. 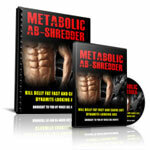 If you are worried about how much weight you’re able to lift, this could be your first issue. Forget about it! No one in the gym really cares about how much weight you are lifting. Their only focus is on their workout/checking their gains in the mirror. They may have even be in LaLa Land thanks to the super cute girl that just walked in. Who’s guilty in this department? At the end of the day you must drop your ego at the door. Feel free to pick up an upgraded ego on the way out after you start seeing the results of training smarter. We are not ego building, we are muscle building. We are not ego building, we are muscle building. Focus is as basic as the Mind Muscle Connection can get. Once you start daydreaming, you are going to revert to old habits and start swinging dumbbells from point A to point B again. As hard as it may be forget about the cute girl that walked in earlier, you have to be focused on squeezing the working muscle optimally and putting every ounce of energy and focus into just that. Every rep of every set we want to lock our body down in order to isolate the working muscle. This will help keep all momentum and assisting muscles out of the equation. Momentum is your worst enemy when trying to build muscle. We all know that guy doing “dumbbell curls,” the one who rears back at the hips and violently hip thrust forward swinging the dumbbells up until he stalls out halfway through the movement. Now he has to finish the rep so he hyper extends backwards in order to bring the weight the rest of the way up. This guy lifted that heavy weight with everything, but his biceps, don’t be that guy. Stand tall with a big chest, like you have an “S” on your chest. Keep your head neutral and in line with your spine. Maintain a tight core and your spine stable. When you find yourself standing, shove your feet into the ground. This will contract your glutes and hamstrings, keeping you glued to the floor avoiding any hip swing/momentum. Tension is key when it comes to building muscle. Many people can’t get past the idea of completing 6-8 reps. They get so focused on moving the weight from point A to B that they forget all about putting tension into the working muscle. This leads to less muscle fiber involved in that muscle and possibly dumping the load off into assisting muscles, or even worse, your joints. You only have one set of joints, so it would be wise of you make them last all while building muscle optimally by maintaining tension where you want it, in the muscle! The caveat to this is that tension without appropriate load will still leave you high and dry. If you are able to maintain tension but don’t have enough load to stress the muscle fiber, then you still are not going to be building muscle optimally. Let’s face the music, if you want to be a tension Nazi but never use a substantial load, you aren’t going to be getting that dream body anytime soon. You can actually increase tension in the muscle by using intention, which can be used in multiple ways. The act of trying to squeeze the barbell together during a bench press will instantly activate more muscle fiber in your chest. During a lat pull down, many people feel it in their biceps more than their back. Pull the bar apart during a lat pull down and you will trigger your lats to take more of the load. Take note of the following exercises and feel where the tension is. Do some of your regular pushups without any intention. Now do a few pushups with inward intention, think of squeezing the floor together without moving your hands. You should notice a big difference in your chest after the inward intention. Here comes the twist, this time when you do your pushups use outward intention, think about spreading the floor apart. How did we just shift the load to our back, during a pushup? This just goes to show you the power of intention; use it wisely! It’s now time to apply that tension through a full range of motion. A full range of motion is when a muscle goes from being in a fully stretched position to a fully contracted position. You know you are fully stretched when your antagonist, the opposing muscle, is contracted. For example, when doing a bicep curl, the bicep is full stretched when the triceps contracted. From the fully relaxed position, with triceps contracted, the movement is initiated by contracting the bicep only. Again the bicep only, we want to eliminate all movement by locking it down. You are naturally strongest in the midpoint of the exercise and weakest at the extremes of the range. Ensure you spend some time in the extremes of the active range using the principles learned thus far. If you can become stronger at the extremes, you will improve your overall strength through the given range. With the goal of building muscle in mind, you should make sure your sets last anywhere from 40 to 70 seconds. To make this happen we incorporate a tempo. For an example of tempo we will use a 4010. Accentuating the negative portion of the rep, the eccentric, causes the most muscle damage which in turn brings us more of that coveted muscle we all desire. Now that the basics are covered, we can move onto some applications to improve the Mind Muscle Connection even more. 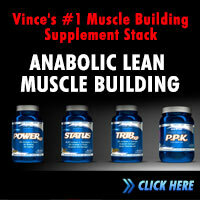 Upon achieving a pump, your ability to feel the muscle will increase dramatically! Decreasing your load and increasing the volume is a great way to increase the pump, along with slowing the eccentric portion of the rep. Contract hard and fully shorten the muscle and pump some serious blood into the muscle. Now that the muscle is filled with blood, it will be much easier to establish a better MMC. 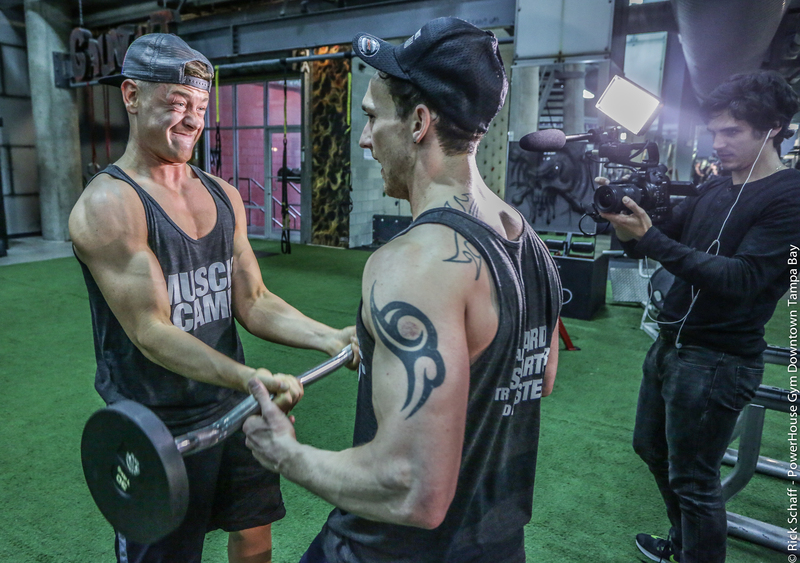 If you have a training partner, having them touch the working muscle will also help gain a better MMC. Many people find it especially in hard to develop areas such as hamstrings or parts of your back because of the lack of MMC. This is where posing comes in to save the day, posing can dramatically improve your muscle awareness. If you struggle to contract a muscle without any weight you will also not be able to contract them efficiently during a workout. 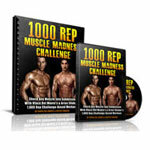 You can even add posing in between sets and pump more blood into the muscle to increase the MMC instantly. Posing can dramatically help improve your MMC and will lead to better workouts. Even if you have zero desire to ever compete, posing could be an amazing way to develop this critical MMC. In the end it is all about the amount of fibers you can activate during a set that will decide how much growth you are creating in your target muscle, not so much moving the weight from A to B or the amount of weight being moved. You now have the tools needed, it’s time connect your Mind and Body. If you can’t flex it you can’t build it. Awesome article Cody! “we’re not ego building, we’re muscle building.” Couldn’t have said it better myself! Awesome article Cody. If you can’t control your muscles, then how can you ever hope to provide them sufficient tension and stimulus in order to grow. The person who can control his body best, is the one who has the most potential for growth. Good points Cody…I like how you mentioned posing at the end because I’ve always felt that posing gave me the ability to control my muscles and develop a good MMC. this was a great read. I love the flow of the points and the simple way the points were put across It meant no matter what your knowledge base you had a clear understanding of the points and put them into practice today. Look forward to reading more of your work cody. Nailed it Cody! Could’t have said it better myself. Checking the ego at the door is often the hardest part to make progress in anything in life. 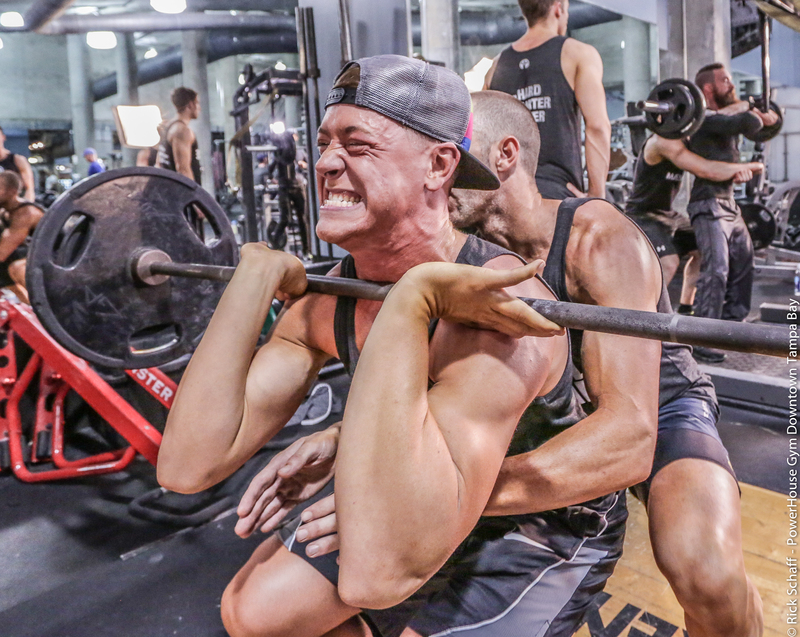 I get it, we’re men, we want to feel like we can lift the world, but like you said, if our goal is to ‘build muscle’ we need to ensure we’ve got the training protocols and processes right. Awesome work Cody! All of your points when tackled one at a time can be absolutely huge in building muscle! From using them personally, it’s incredible to see what body is actually capable of when you FEEL the contractions happening. No ego building here!! Keep killing it brother! Great article Cody!! I love the idea of using posing to help make the mind muscle connection even stronger. Now I have an excuse for standing in front of the mirror hitting my shots!! Awesome article Cody. You nailed man with time under tension and mind muscle connection. Most people move the weight around without the proper use of tension throughout the movement. We are not ego building, we are muscle building, love it! Great article Cody. I’m glad you mentioned the fact that you still need load to create tension. At the end of the day, you can squeeze and contract all you want, but without an adequate load you won’t get anywhere. While the load (amount of weight you’re using) certainly isn’t everything, it does play a critical role in generating tension. Lately there has been too much of a focus on using the least amount of weight possible. In reality, you should use the maximum load you’re able to control through the appropriate range while keeping the tension on the target muscles. This will create maximum tension and the best environment for growth.